Today is the first day of July and I decided to begin this new month with my first contribution to Dolce Bellezza’s Japanese Literature Challenge X for which I signed up about two weeks ago. Despite me I picked a crime novel for review, but not a usual one surrounding murder and the more or less ingenious enquiry of a police officer, private investigator or nosy amateur who will without fail unmask the killer at the end. The Thief by Nakamura Fuminori rather belongs to noir fiction since it’s basically social critique as well as the character study of a young man without notable past… and without future. He has just returned to Tōkyo where he leads a solitary and frugal life going about his business as a pickpocket, when a dangerous gangster boss intimidates him into using his deft fingers to do three delicate stealing jobs for him. Nakamura Fuminori (中村 文則) is the pen name of a Japanese writer born in Tōkai, Aichi Prefecture, Japan, in September 1977. After graduating from the Faculty of Administration and Social Sciences at the University of Fukushima, he worked part-time while writing his debut novella The Gun (銃: 2002) that won him the Shinchō Prize for New Writers. 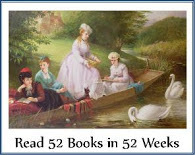 It was followed by a few short story collections and a considerable number of novels, many of them award-winning. His novels available in English translation are The Thief (掏摸: 2009) and its sequel The Kingdom (王国: 2011), Evil and the Mask (悪と仮面のルール: 2010), and Last Winter, We Parted (去年の冬、きみと別れ: 2013). The author’s latest published work is 私の消滅 (2016; google trans. My Disappearance). Nakamura Fuminori lives in Tōkyo, Japan. The world of The Thief is contemporary Tōkyo with its crowded streets, trains, stations, shops and bars where it’s easy for an inconspicuous nobody in expensive clothes and sneakers like the nameless narrator to find a suitable victim to steal from. For him picking pockets has long become a habit and sometimes he even finds foreign objects on himself that he can’t remember having taken. Half jokingly he refers to this as Pick’s disease or early-onset dementia. In fact, he has been stealing virtually all his life and never felt any guilt or wickedness when he did it because he experiences it as liberation – even when he is caught. He works alone, but this hasn’t always been so. For a while he teamed up with an older and more experienced petty criminal with “Robin Hood” attitude called Ishikawa who got involved with the dangerous underworld boss Kizaki, though. After a robbery for which Kizaki hired the two thieves, Ishikawa disappeared without a trace and fearing that Kizaki was after him too, the narrator left Tōkyo for some time. Now he is back at last and his life is as ever until in a supermarket he watches a little boy and his mother. The novel titled The Thief is a first-person narrative from the point of view of its nameless protagonist (in other words of a nobody) who lives on the dark side of life. The rather eventless plot shows him as a victim: of the unfavourable circumstances into which he was born; of society that doesn’t care about the poor, weak and wounded; of gangster boss Kizaki who amuses himself using others for his purposes as if they were puppets. This makes it a social critique. The narrator also is quite a loner because as a pickpocket he moves outside honourable society, and despite all, he hasn’t lost his humanity and his ability to get attached to somebody, if not to love as prove his past relations to his married lover Saeko and his fatherly friend or mentor Ishikawa. Moreover, he feels pity for the boy whose mother makes him shoplift in the supermarket and he wants to guide him towards a happier fate than has been his own. In all of this the world of petty crime serves as the bleak background for asking the philosophical question whether we are all just driven by what happens to us, i.e. by fate, God or society (symbolised by the tower that appears ever again in the novel), or whether we are able to choose our own way. The narrating protagonist clearly believes that there’s at least a chance for the last which adds just a pinch of optimism to the otherwise sombre story. 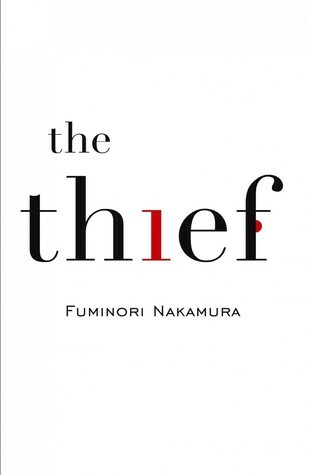 Not being a huge fan of the crime genre, I was a bit doubtful when I picked The Thief by Nakamura Fuminori for review, but I needed a book by a contemporary male author whose last name started with N and I wanted him to be Japanese. I’m glad that I came across this novel because I enjoyed it so much more than expected although it certainly wasn’t a cheerful read, actually not even a thriller in the usual blood-dripping sense. In fact, there isn’t much action, not even a crime to be solved. And the general tone of the novel is quiet, not to say melancholy though not entirely hopeless as I pointed out. In short it’s a skilfully written, gripping noir… and I loved it! Therefore I recommend it without reserve. Second time today I came across this novel on a blog. It sounds wonderful and I have added it to my lists. Coincidences! Just recently I came across two reviews of the same forgotten classic - Grand Hotel by Vicki Baum - within a week. I'm glad that you liked what you read in my and the other review so much that you added the novel to your TBR list. Read this book a while ago & thoroughly enjoyed it making me want to find out more about the writer & his works. Thanks for your comment! I think it's the first here: welcome to my blog! Yes, this novel definitely leaves a taste for more - not mentioning that the end is kind of a cliff-hanger. Probably I'll see if I can find the sequel, i.e. The Kingdom that Dolce Bellezza has on her reading list for the challenge. This book sounds wonderful and I'm definitely going to search it out. I have read a few Japanese books recently and loved their style. As I mentioned in my review, the novel was quite an agreeable surprise. I liked its quiet tone... and that there wasn't just the "usual" a series of cruel murders as the label "crime novel" suggests. It certainly looks like we both liked this. While I was reading it, I found it much more simplistic than when Id finished and looked back. It's quite complex, philosophical. What did you think if the ambiguous ending? Thinking about it now, I too felt that while reading The Thief it didn't seem particularly deep and elaborate, but it lingered on in the mind and thus gained a lot in retrospect.